Legends, no matter how outlandish, are often grounded in reality. This has been the guiding principle behind the exhilarating career of Jeremy Logan, the “enigmalogist”—an investigator who specializes in analyzing phenomena that have no obvious explanation. When Logan is asked to help investigate, he discovers no shortage of suspects capable of such an attack—and no shortage of locals willing to point the finger and spread incredible rumors. One rumor has even the forest ranger believing in werewolves. 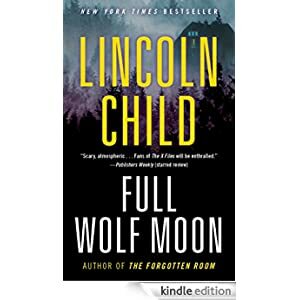 As Logan gets to know the remote deep-woods landscape, including a respected woman scientist still struggling with the violent loss of her father in these very woods, Logan realizes he’s up against something he has never seen before. Buy this supernatural suspense novel for only $2.99 today.